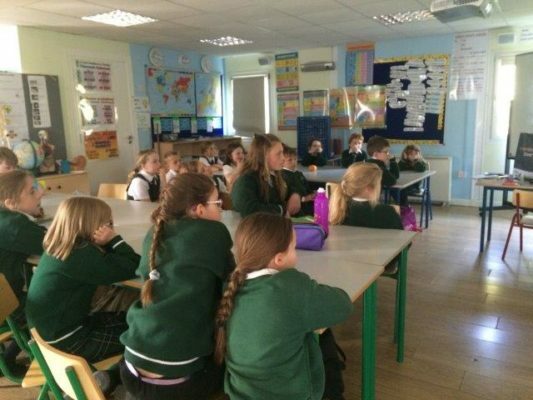 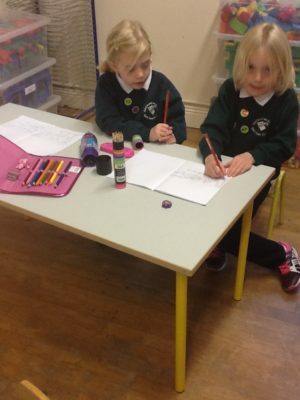 Gaelscoil na bhFilí, Gort Inse Guaire, Co. na Gaillimhe. 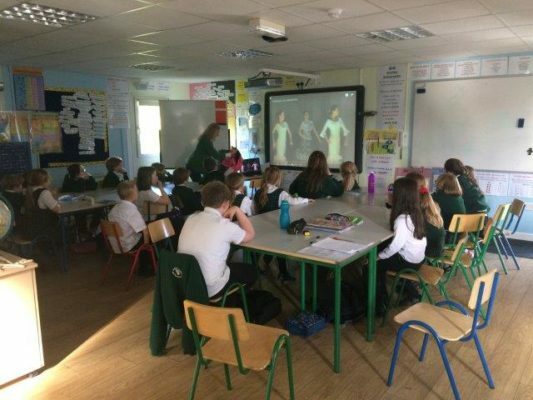 Tugann na páistí cuairt ar an leabharlann chun spéis agus suim sa léitheoireacht a spreagadh ó aois óg. 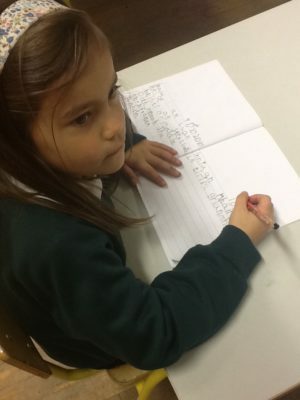 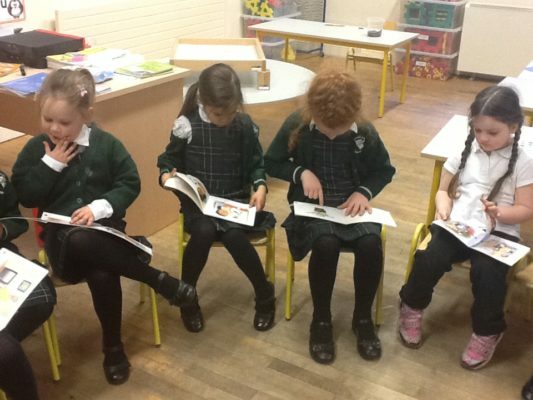 Eagraítear Aonach Leabhar sa scoil gach bliain sa scoil. 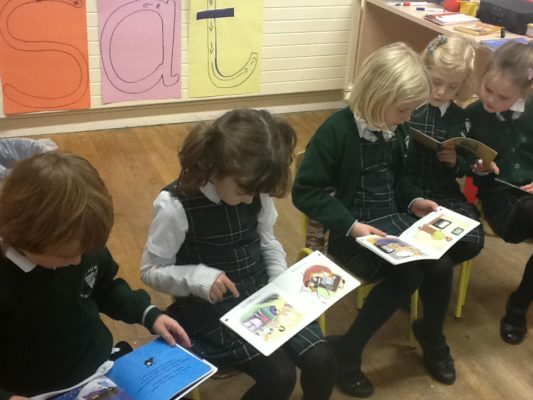 Children visit the local library during the year to ensure that a love of reading is fostered and encouraged from a young age. 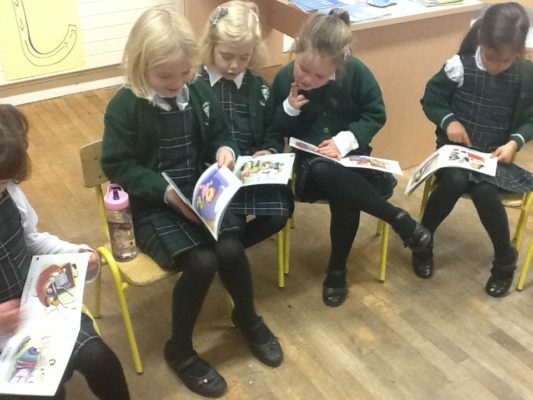 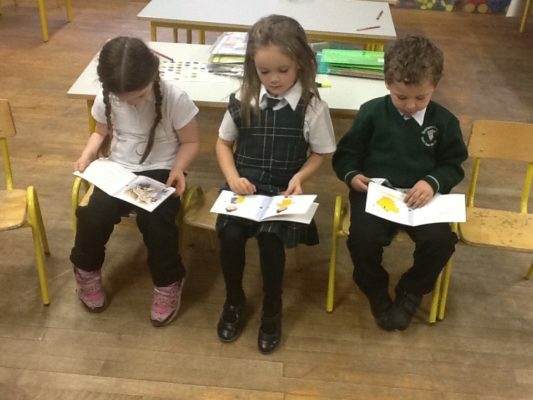 School holds Book Fair showcasing the latest books published in Irish.